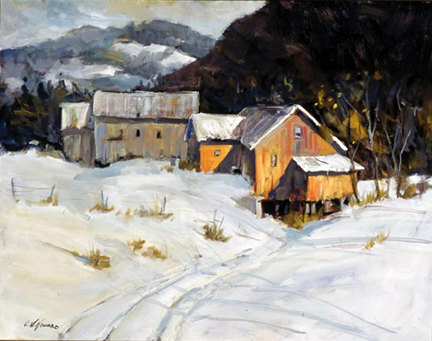 Throughout his long painting career, Larry has drawn upon the classical approaches he studied at Boston's New England School of Art. He found northern New England's farm country, Gloucester Harbor, and the Maine coastline wonderful places to paint nature at its most glorious. His work has shown regularly at Rockport Art Association in Rockport, MA and Ebb Tide Gallery in Kennebunkport, ME.